I have so much on my plate right now. I am dealing with all of the homeschooling stuff and getting it off the ground. I am waiting for boxes of supplies and an IEP meeting so that I can really begin. As with any school experience it is stressful trying explain what Makenzie can do, what she needs to learn, and how much she can handle. However I spoke to the special education teacher today and she was amazing. She asked me what brought me to their program and I gave her the Makenzie's School Experience Lite version. Funny thing is this teacher has just started with this company and previously worked for the same school district we just withdrew from. She asked me many great questions and at the end of the conversation I felt so energized. She acknowledged over and over that no one know what Makenzie needs better then I do! I really appreciated her understanding of this fact because over the last 2 years I have been told so many times that I do not know and there are some things I just need to let the "team" take care of. This teacher asked me to tell her what Makenzie needed and she would follow my lead and support me in what ever way I needed her too! Oh I have warm fuzzes! It really is not hard to make me happy and she hit the nail right on the head today! Makenzie and I also had an appointment with the orthopedist to pick up a pair of SureStep braces. Makenzie has not worn braces in over a year. She still has full range in her heel cords, her ankles do not roll when she walks but she does like to fix in her foot so to help break that up we got her a new pair. Suresteps are very light weight and do not go much above the ankle so Makenzie did not seam to mind them at all today. YEAH! Then there was the clinic PT appointment which went VERY well. Makenzie did great in tall kneel and she walked a ton including going up and down the stairs! Her therapists checked her feet for red spots and added some mole skin to her new braces in the places that seemed to be causing irritation. We have sure missed seeing Ms Christa as we missed the last couple of appointments with her for one reason or another! Tonight Makenzie and I headed out to my good friend Susan's birthday party. HAPPY BIRTHDAY SUSAN! It was a bit bitter sweet as Susan and her family will be heading to court in the morning to finalize everything for her daughter Julia's settlement. This court appointment will be what decides how much financial support Julia will receive for the rest of her life after suffering a serious brain injury after receiving vaccinations! Big Stuff! This has been a very long and hard fight to get Julia what she needs and deserves. Tomorrow is D-Day and nerves are at an all time high! Please pray for Susan, Shawn, Jack, and Julia tomorrow as their fight comes to an end. Please pray that the Judge will hear what Julia will truly need for the rest of her life. Please pray that Susan and her family would feel peace in knowing that they did everything they could have to help Julia. Please pray! Tomorrow we are heading to the hospital for an appointment with a surgeon to discuss the FUNDO and wither or not this surgery or another may be an option for Makenzie. Please pray that God will be with the doctor while we meet. 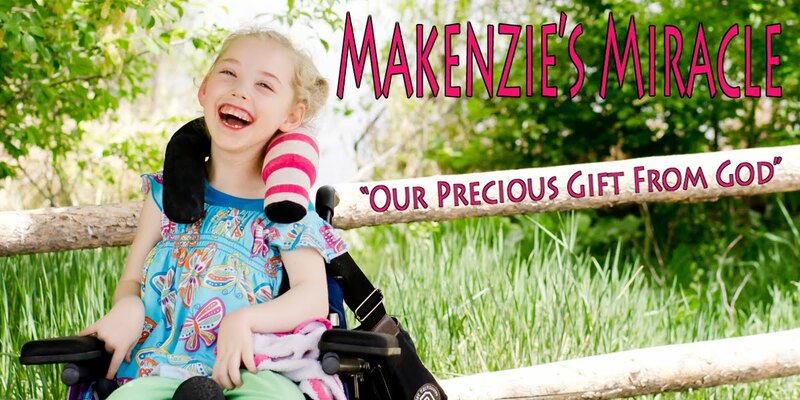 Pray that he will hear God's voice and be given the knowledge and understanding of what is right and best for Makenzie. Please also pray that this mommy is heard! Ok so that was a lot. Sorry... I could keep writing because there is a bunch more but I will stop! LOL! Time to call this day done! I am so sorry that Makenzie's brain is hurt. I know a mother's pain when her child suffers a brain injury. I am that mother, too. My daughter's brain was hurt in a car accident back in 1997 when she was 4 years old. Our life changed that day. We did many years of therapy with her so that she could learn to eat, see, walk, and talk again. We, too, did the untraditional/alternative therapies on her, choosing an institute in PA that works with brain injured children. We chose that route and followed their intense program for about 3 years. It was very hard, but so worth it. My daughter is 17 now and doing well. I will keep Makenzie and your family in my prayers. I will pray for God to continue to heal your daughter's brain. I will pray for your strength.